Ten Thousand Villages is a pioneer in the world of fair-trade, ethical shopping. This non-profit social enterprise has been using market-based solutions to end the cycle of poverty since 1946, so you can ask your grandma if she loves them as much as we do. TTV sources all of their products from communities throughout the developing world, and every inspired design is crafted with love using local materials (usually natural or recycled) and time-honored skills by makers the company has known and worked with for years. 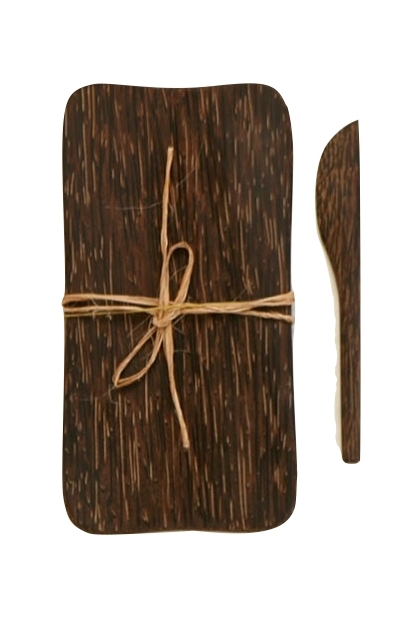 Their site is chock-full of amazing artisanal products. Forget Amazon, this place has it all. Don't let their Anthro affiliation fool you. 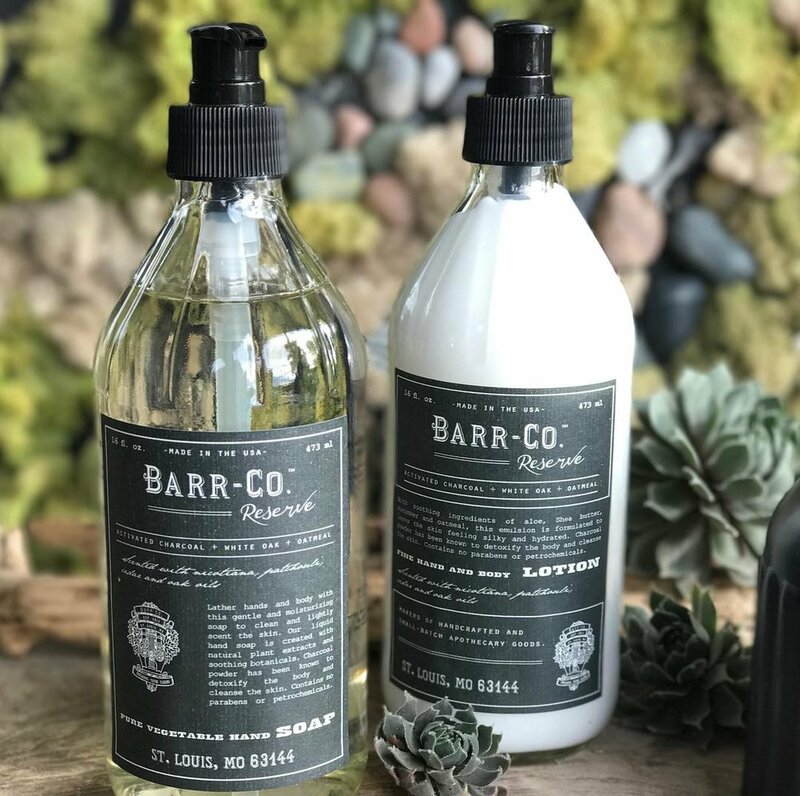 St. Louis-based Barr-Co. (one of the brands under the K. Hall Studio umbrella) prides itself on creating eco-friendly, quality goods in small batches with lovely, reusable packaging. We bought our first bottle of Barr-Co soap for the pretty retro packaging and the scent; now we're buying some for everyone we know because it's the best soap we've ever used. It leaves our hands (and our face and our kids faces and our baby's tush) feeling luxuriously soft, even without lotion after (though we'll admit, we have their lotion, too). Barr-Co sells a gift set of most of their soaps and lotions in smaller sized bottles with metal holders to set them in. They're cute, but the metal rusted on our bathroom counter, plus there's something about that oversized bottle, large and in charge by the sink. Barr-Co is making statement soaps a thing. Everybody loves a pretty candle. The problem is, so many of the cute candles you find at high-end gift stores are petroleum-based paraffin wax candles that pump nasty chemicals into the air that can damage the brain, lungs and central nervous system, as well as cause developmental difficulties. Avoid that nastiness and go all natural instead. We love everything about these black glass beauties from Prosperity Candle, from the wood wicks, to the essential oils they're scented with, to the fact that every one is hand poured by Burmese women in their Massachusetts studio. The symbol atop each label is the candle's name handwritten in Burmese, the official language spoken in Burma (Myanmar). Feeling especially grateful? Spring for Prosperity Candle's "Thank You" set and get the candle, organic coffee beans and sea salted caramels. Sounds like the perfect day-after-the-party combo for the host/ess on your list. Prosperity Candle is a social enterprise that supports refugees and artisans through candle-making and beautifully crafted vessels. Each candle is hand poured by a woman artisan using the highest quality waxes, natural cotton and wood wicks, and premium fragrances made with essential oils. No synthetic fragrances here! The women who started Prosperity did so to honor creativity and quality, support fair trade and ethically made goods, and to keep unhealthy stuff out of their homes. But most importantly, this is a company that believes in "contributing to the common good, the power of optimism, and in shared prosperity where everyone everywhere has the opportunity to thrive." Amen to that. Cutest hand towels ever. Perfect for your mom or that friend who just bought a house. Or, hey, take advantage of the sale and buy them for yourself (we won't judge! A girl needs chic tea towels! Um, what the heck are tea towels? According to HuffPost, they’re meant to be used as a "drying tool" in the kitchen. So.... kitchen hand towels. 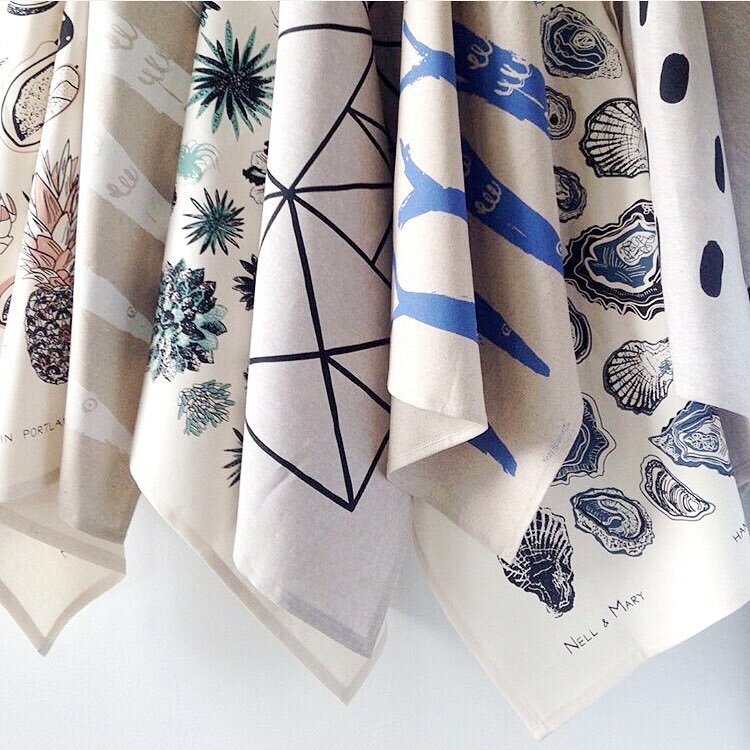 But tea towels sounds so much more refined, so we're gonna call them that). Handprinted in Portland with indigo and charcoal water based ink, these will make even your most hipster of friends happy. On sale for $12 right now, these cuties won't break the bank and the succulents are really just adorable. 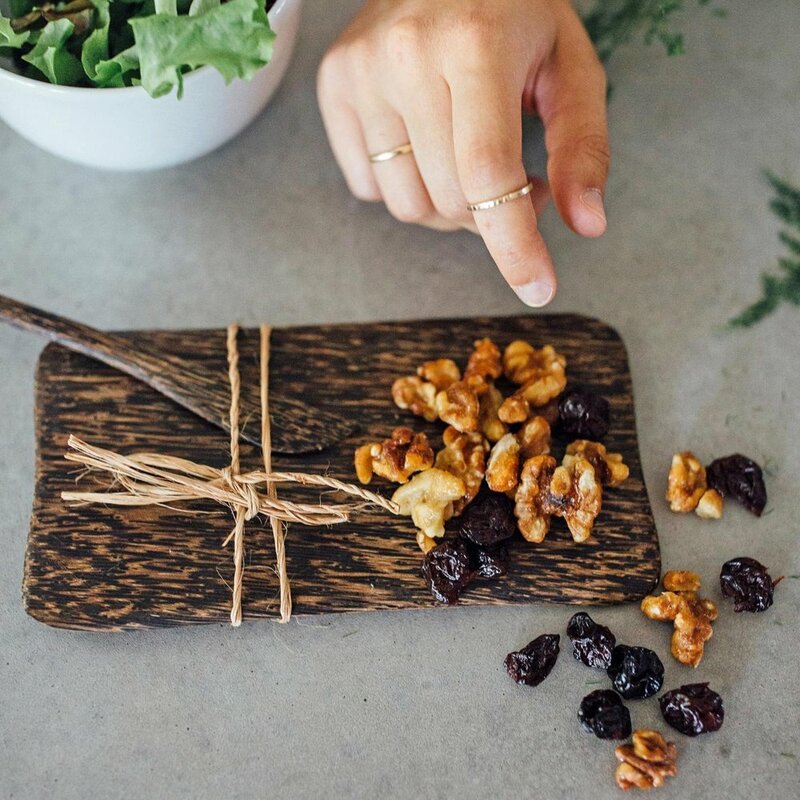 Oregon-based Nell & Mary (recently relaunched as North of West) was founded in 2012 by Krista Stovel, Leah Stovel and Avery Bloom. Every piece they make is designed, cut, sewn and screen printed in their studio/micro-factory in Portland and sold in their flagship brick and mortar store. We love that North of West sources materials which are either “rescued” or organic, and the fact that all of their inks are water based. In addition to unique home textiles, North of West offers really adorable kids' clothes. Perfect for the new parents on your list, or for your own kiddos. They'll be the hippest tots on the block. Show up to the party with this little gem and a 6-pack of your favorite local craft beer and you'll ensure an invite to every party ever thrown forever and ever. This bent nail bottle opener couldn't be more simple or more genius, even if we're kind of mad we never thought of it ourselves. What we wouldn't have thought of, though, is the magnet that catches the cap as you open whatever bottle of cider/beer/seltzer you're serving up. Another magnet holds this to the side of your fridge, the perfect place to point it out as evidence of how hip you are. Next up, opening cans with a screwdriver or something. Areaware is a small team of 24 people dedicated to bringing great designers--and great design-- to the marketplace. Based in Brooklyn, NY and Columbus, OH, Areaware supports the efforts of independent, emerging designers by producing their work; they oversee all aspects of bringing a design product to market, including creative direction, product development, sourcing, marketing, sales and distribution. 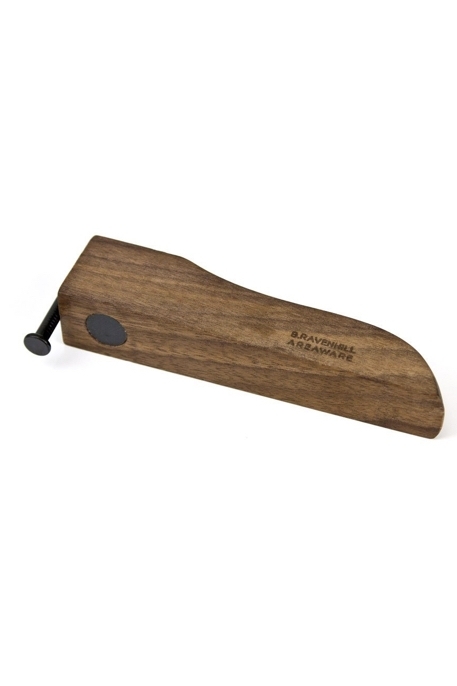 This bottle opener was one of the early designs of Brendan Ravenhill, who now designs rad American-made lighting and furniture in Los Angeles.